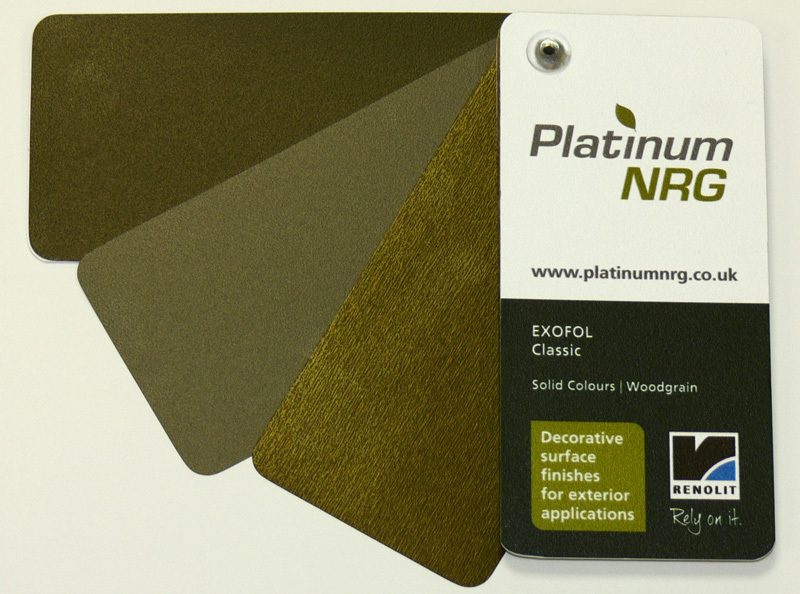 Another first and exclusive for PlatinumNRG and a further reason why we are at the top of our game are a new set of foils, just recently added to the great range that we currently offer. They really complement the finishes we can already offer and will give you more choices when ordering our doors, windows or conservatories. A perfect choice for discerning homeowners who are looking for something a little different. If you would like a quote for one of these new finishes, then please give us your contact details and someone will be in touch very soon. Our selected partner can then show you the full and latest foil colour swatch. Or please call us on 0800 6523151.